The Education Committee of the Computing Research Association (CRA-E) is proud to announce two recipients of the 2018 CRA-E Undergraduate Research Faculty Mentoring Award: Michael Ernst from the University of Washington in Seattle and Catherine Putonti from Loyola University in Chicago. 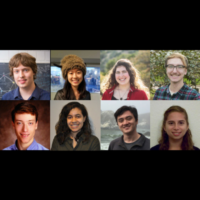 These outstanding individuals are being recognized for providing exceptional mentorship, undergraduate research experiences, and, in parallel, guidance on admission and matriculation of their students to research-focused graduate programs in computing. The 2018 selection committee includes Chandra Krintz (University of California, Santa Barbara), Pat Morreale (Kean University), Denys Poshyvanyk (William & Mary), and Barbara Ryder (Virginia Tech, committee chair). 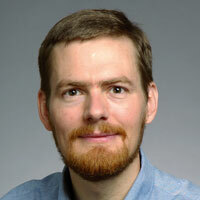 Michael Ernst, Ph.D., is a professor of computer science at the University of Washington in Seattle (UW), a Fellow of the ACM, and an NSF CAREER award winner. Ernst is an accomplished researcher. Over the past 15 years he has authored nine best or distinguished papers at major conferences in programming languages and software engineering such as ECOOP, ESEC, FSE, ICSE, and ISSTA. Ernst’s extraordinary mentoring has produced a broad impact. 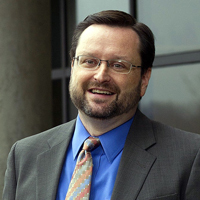 He has built a research environment that is collaborative, welcoming to undergraduates, and mindful of teaching graduate students, postdocs, and other faculty how to successfully work with undergraduates. He has adopted state-of-the art research tools that are used in undergraduate classes and has included research explorations in undergraduate project classes. His “Advice for researchers and students” webpage is used throughout the CS community. Catherine Putonti, Ph.D., is an associate professor in the Departments of Computer Science and Biology at Loyola University Chicago as well as in the Department of Microbiology and Immunology in the Stritch School of Medicine. 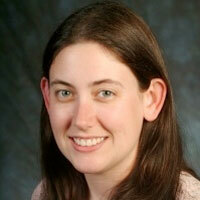 She is also director of the interdisciplinary bioinformatics program and an NSF CAREER Award winner. According to a colleague, Loyola is an institution “where undergraduate students do the bulk of the lab work for principal investigators.” In 10 years, Putonti was awarded two university awards for excellence — the Sujack Master Researcher Award and the Sujack Teaching Excellence Award. She is the only faculty member in the College of Arts and Sciences of Loyola to recently receive both of these honors. Putonti has successfully mentored 45 undergraduate students since spring 2008, and 16 of these students have continued to graduate school in computer science, bioinformatics, or computational biology. Her “top in department” placement of students at outstanding graduate programs across the country and across disciplines is exceptional, with students gaining admission to schools such as University of Chicago, Johns Hopkins University, University of North Carolina at Chapel Hill, and Stanford University.